Get a chance to win this Citroen C1! With us you can win everyday. Winner will be randomly drawn on 29th July 2016 at 12pm. 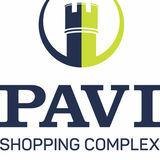 Winner will be contacted for PAVI or PAMA loyalty card number where upon on confirmation points will be automatically added on to their card. If winner has no loyalty card, upon subscription, points will be added. 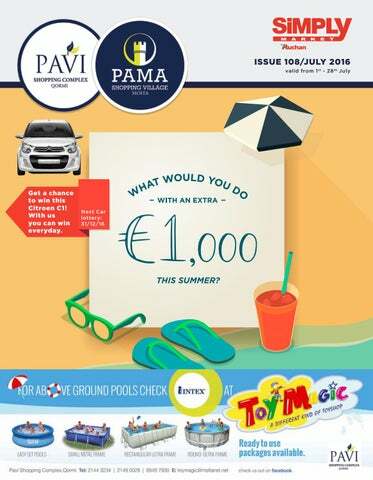 By Participating in this competition, the respondent automatically accepts to have his/her contact details added to Pavi & Pama databases, and accepts to receive regular news and offers notifications from Pavi & Pama supermarkets. In order for winners to receive prize, he/she will have to agree for a photo to be taken. WE JUST WON! Recent winners of the €1000 in cash competition! SATURDAY BONANZA! FREE PRODUCT WITH EVERY €100 SPENT! • Rabbit in gravy • Horse meat stew • & More! The innovative 6TH Sense Technology is designed to automatically adapt the temperature and humidity levels to each of your favourite foods, so you can enjoy their freshness 4 times longer. Water Filter Jug This water filter does not only filter tap water but also enriches it with the essential mineral and flavour carrier; magnesium. Reverse Osmosis With over 25 years of experience in water filters and reverse osmosis systems and membranes, Hidrotek offers the best water treatment systems you need to provide your was household members with the clean, safe CLEARANCE PRICE water they deserve. A compact and versatile, 3 in 1 stove with flexible cooking options including a grill, griddle and high burner. The 3 in 1 Grill Stove’s compact design disguises a large cooking surface which is removable and has an integrated grease pan for easy cleaning. The secure locking latch ensures easy transportation and storage. 2 Series Classic EXS GAZ23000002384 Featuring durable and reliable stainless steel burner technology, the 2 Series Classic EXS is the perfect choice for smaller gardens or novice grilles. Each of the two burners is independently adjustable, ensuring two separate cooking temperatures that guarantee perfectly cooked food every time.